Hope you're having a great Friday. Just wanted to share a new update today! I illustrated a very Canadiana pattern for a Stonemill Bakehouse bread wrapper. 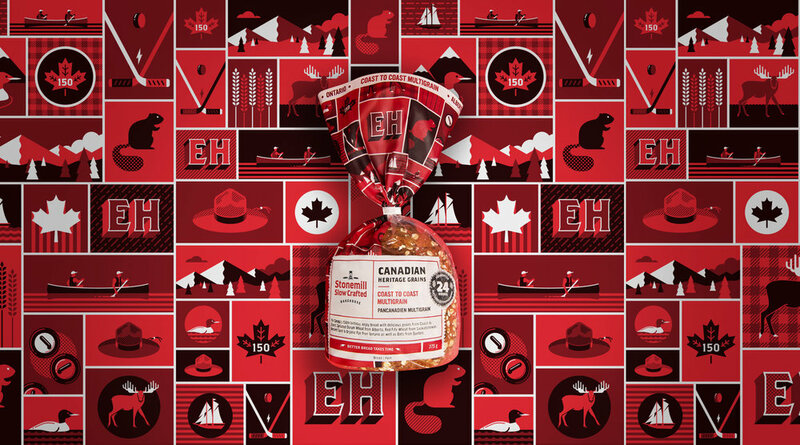 It was to commemorate 'Canada 150' this year, and this limited 'Canadian Heritage Grains - Coast to Coast Multigrain' bread was seen on shelves nationwide!